Welcome to the final part of our World Cup series. Today we’ll share some AdSense-specific tips and tricks to help grow your revenue potential. We'll cover some old but steadfast recommendations plus more advanced seasonal optimisation tips to help ensure you’re well prepared for the World Cup. 1. Increase ad coverage: Place up to three ad units, plus three link units per page. This can help increase the click rates and views on your site, and potentially boost your earnings. It’s important to remember that a good balance between content and ads is essential. Placing too many ads on a page may cause a high bounce rate and loss in revenue. 2. Use the best performing ad formats: Wider ad formats usually perform better compared to others. Some ad formats also have more advertiser demand. Typically ad formats like the 728x90 Leaderboard, the 336x280 Large rectangle, the 300x250 Medium Rectangle, and the 300x600 Large Skyscraper are the most popular formats among the advertisers and more effective in terms of potentially increasing revenue. During big sporting events, advertisers are often focusing on viral engagement. 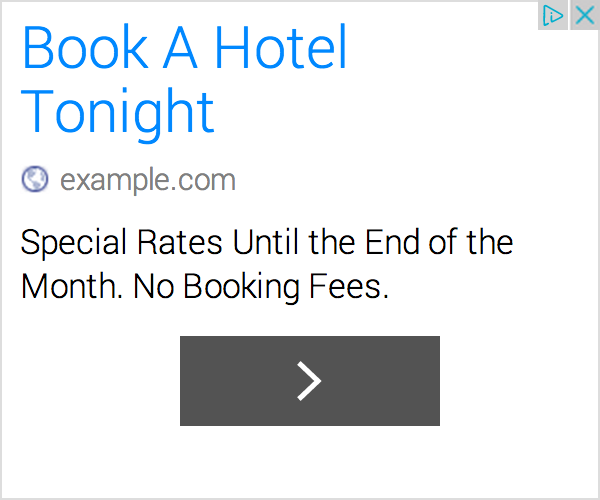 Enabling expandable ads will help you capture this opportunity. 3. Be careful with blocking controls: Review which ad categories you’re currently blocking and why you’re blocking them. Overblocking can lead to a decline in your earnings potential, especially in times of increased traffic to your site and bigger advertiser spend on categories such as CPG, Auto, Entertainment Food and Beverage and Travel. 4. Ensure optimal ad position: Choosing the best locations to insert the ads can be challenging. Use Google Analytics to get a heatmap on where your users are clicking. You’ll also find more new resources on the AdSense Help Center regarding the best performing ad placements for each website category. Recently we have new articles about ad placement specific to sports and travel. That wraps up our World Cup blog series. We hope you’ve gained some new insights, inspiration and ideas on getting your site ready for the World Cup. Check back here in a two weeks when we’ll be sharing news of a fantastic Google initiative around World Cup insights. Is your website optimized for your mobile users? Throughout the World Cup, fans will be looking for great content, regardless of whether they’re viewing it from a desktop, tablet or mobile device. “In 2013, internet traffic from mobile devices surpassed traffic from desktop, and that figure is continuing to grow”*. Today, approximately 60%** of online users are now multi screen users. In many instances, this means they’re online on social networks, news sites or mobile messaging apps while also watching TV. During live sporting events, this number grows further. 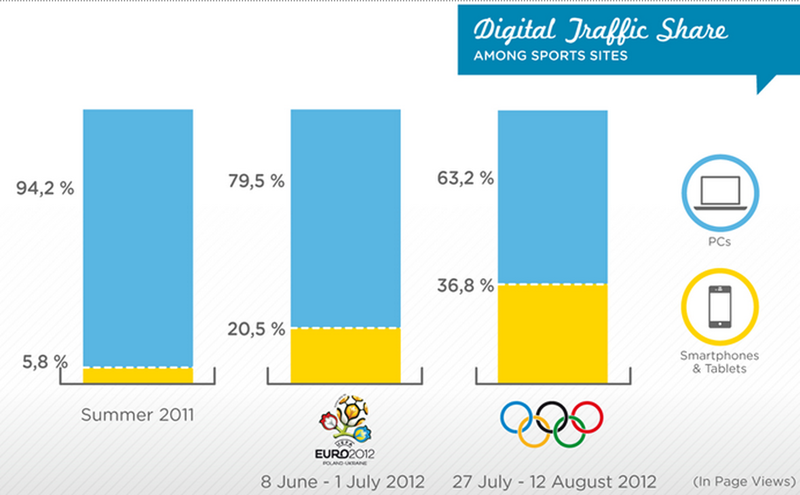 Euro 2012 and the 2012 Olympics were good examples of this trend as illustrated below. With this in mind, think about whether you should be preparing additional mobile-optimized content to share with your users during events like the World Cup, especially during the opening ceremony, key matches and the finals. Looking at how your users digest your content is important. If they receive a link on their smartphone but are unable to view the content because it’s not mobile-optimized, they’ll feel frustrated at the poor experience. On the other hand, If the user is delighted with the content and their first visit to your site is a positive experience, they’ll likely come back again and again. We recently shared some best practices on driving user engagement and loyalty through smart mobile site design - take a look and see if there’s any practices you can apply to your own site. If you haven’t created a mobile-friendly site yet and would like to outsource this, take a look at Google’s recommended vendors. If you already have a mobile optimized site, don’t forget that you can grow your earnings potential by understanding which mobile ad sizes are most effective for you. Moreover, if you’ve created an app, use Google AdMob to monetise it and grow your earnings. Check back tomorrow for the final post in our World Cup series, when we’ll be talking about growing your site with Google AdSense. Welcome to the fourth part of our World Cup blog series. Today, we’ll take a closer look at reaching your audience across devices. The 2014 World Cup in Brazil won't just be about soccer. It’ll also be about interactions across social media. This event will see millions of people interact and share content on multiple social channels, driving the potential for your content to ‘go viral’. With this in mind, publishers should think about adapting their editorial coverage around the World Cup to generate audience buzz. Some fun examples could include discussing top ranked players or incredible game moments. 73%* of online adults now use a social networking site of some kind. So it’s essential that content on your site is easy to share and that you’ve got a strategy in place for engagement and distribution of content through your social media channels. Users not only like to read the latest updates regarding the World Cup, but also share interesting content, comment, and interact with other users. Additionally, sports are a leading topic on many social media platforms. Sports audiences often account for some of the most engaged and passionate fans on social media. To engage your audience further, explore using Google+ Sign In and some of our other Google+ features that will help you take your content viral. Video is another potential channel for you to create and share unique content on your site. Over 6 billion hours of video are watched each month on YouTube**. That's almost an hour for every person in the world. With that much content being consumed, think about using YouTube or Google+ Hangouts On Air to distribute your content and to engage your users. For example, you could create a daily 90 second clip that highlights the best, worst and funniest moments from the various games. In our fourth blog post tomorrow, we’ll talk about your strategy for reaching users across devices. Welcome to the third part of our World Cup series. Today, we’ll focus on taking your content viral through social media. The World Cup is one of the most searched topics we’ll see in 2014. Other large-scale events such as the US Presidential elections don’t compare. At this time, sports, news, travel and outdoor sites could see an increase in traffic of up to 13%*. 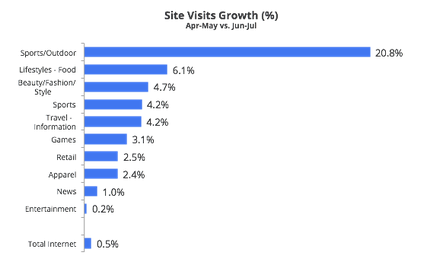 Take a look at the graph below which highlights the growth of site visits during last year’s Confederation Cup in Brazil. As most World Cup fans will start to search for related information before the tournament begins, now is the time to start sharing relevant and related content with them. When building your content strategy and timelines, think about important dates, specific games and popular keywords. The World Cup audience will search for schedules, results, teams and player information, not to mention the viral entertainment that many advertisers will create. Fans traveling to Brazil might also search for travel and accommodation options, local directions or restaurant recommendations. Regardless of what type of website you have, ask yourself if you’re giving your users the content they need right now. Stay tuned for the next blog post where we’ll share some best practices on using social media to reach more users. Welcome to the second part of our World Cup series. Today, we’ll focus on the creation and promotion of related content ahead of the tournament. To get us into the World Cup spirit, let’s drop by Italy to meet the team behind NapoliSoccer.net and get inspired. Created in 2004 as an online community, NapoliSoccer.net has grown as an online community. The site has even opened a cultural association and started a newspaper over the past few years. “It’s a completely non-profit project” says Sergio Massimo, one of the managers of the website. “Now NapoliSoccer.net has about 25,000 page views a day and 12 people dedicated to writing content, creating press reports and managing relations with local radio and TV,” Sergio continues. 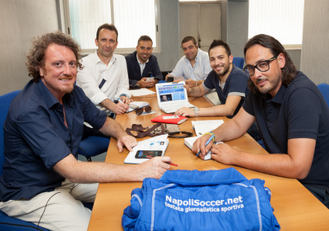 From 2005, NapoliSoccer began using Google solutions. "The role that AdSense plays is very important” says Sergio “since it allows us to cover more than a half of our costs. Moreover, 70% of our total revenue comes from AdSense." "We started to use AdSense to secure revenue to cover the costs of our non-profit activities. AdSense was a natural choice that gave us a guarantee to keep our project alive." Sergio explained that the ads are relevant and that when he doesn’t want to show certain types of ads, he uses the features available in the Ad review center. "We are using a range of other Google products” Sergio tells us ”including Gmail, which is used by all of our copywriters. Fans can also follow us on our YouTube channel and on Google+. And Google Drive is very useful for sharing documents." Sergio concludes by telling us that his on-going plans for the site include more integration with social media and launching a mobile app. Stay tuned for part two tomorrow where we’ll take a closer look at content creation and promotion. We’re fast approaching the biggest sporting event of the year and are excited to see which team will triumph. As World Cup fever takes hold, online activities are set to increase and you could potentially reach more users and advertisers as a result. We’ve created a five-part blog series that will run every day this week. The series will focus on how to make the most of this exciting seasonal event. We’ll look closely at how World Cup events can help benefit sports, news and travel sites.However the tips we’ll cover are universal and apply to most sites and sporting events. is now in session. Start the course today to access all of the new videos, activities and assessments. The course forum is now open so you can start discussing optimization ideas with other publishers taking the course and find out how to best apply what you learn. Take a quick peek at the course now. Optimizing AdSense is now in session. Start the course today to access all of the new videos, activities and assessments. The course forum is now open so you can start discussing optimization ideas with other publishers taking the course and find out how to best apply what you learn. Take a quick peek at the course now. to make A/B testing easy for your ad units. From today, you’ll be able to optimize your entire account with AdSense experiments, now available for account-level settings. AdSense experiments let you quickly launch and analyze A/B experiments without you having to make any changes to your ad or page code. Using this feature allows you to configure your ad settings to give you the best possible performance. With account-level A/B testing, you can now also compare the performance of your account-level settings such as general or sensitive category blocking or ad-serving blocks. If you haven’t already tried AdSense experiments to run A/B tests on your site, give it a try to make sure you’re getting the most out of your account and your ad units. You’ll find more information over on our Help Center. We’re looking forward to hearing your feedback - tell us what you think over on our AdSense+ page. A/B testing is one of the most effective ways of ensuring your ad units are performing to their full potential. Last year we launched AdSense experiments to make A/B testing easy for your ad units. From today, you’ll be able to optimize your entire account with AdSense experiments, now available for account-level settings. If you currently have display-only enabled ads on your site, magazine ads will automatically be set up for these ad units. If you’d prefer not to show magazine ads, you can disable them through the Enhanced display option in the My ads tab in your account. For now, when magazine ads are enabled for your display ad units, the Ad Review Center will still show you the original text ad provided by the advertiser and not the the newly-styled magazine ad. Check out our Help Center for more information. We’d love to hear if you’re using magazine ads already -- share your experience and feedback over on the AdSense +page. Today we’re happy to launch a new display-only format that we call magazine ads. To optimize revenue, we normally recommend that you enable both text and display for your ad units, however we recognize that the type of ads you feature on your site is also influenced by your own style preferences. To that end, we’ve created a new format allowing text advertisers to increase competition on your display-only ad units while maintaining a design aesthetic suitable for display. If a text advertiser is the winning bidder for your ad unit, their ad will appear in the magazine ad format. This format has been designed with print magazine ads in mind, putting a big emphasis on space and typography and displaying a new look distinctive from our regular text ads. Take a look at the examples below to see how magazine ads will look in your display ad units. , our first online course for AdSense publishers. The course puts all of our top optimization resources in one place, helping you understand what drives your revenue and how to make changes right in your account to make the most of your setup. Watch the lesson videos, follow the step-by-step walkthroughs, and complete the activities to practice what you learn. Also, take advantage of the course forum to connect with other publishers like you to see how they have used the course to earn money for their website. Publishers who complete the final assessment with an 80% or higher can also earn a certificate from the Google AdSense team. Take the pre-assessment today to find out what to focus on when the course opens on May 20th. Publishers often tell us that they want to learn how to use AdSense but aren’t sure where to start or which resources are right for them. We’re changing that. Join us on May 20th in Optimizing AdSense, our first online course for AdSense publishers. The course puts all of our top optimization resources in one place, helping you understand what drives your revenue and how to make changes right in your account to make the most of your setup. on mobile site design in this Hangout on Air. We hope you enjoy the Hangout on Air! Mobile empowers users to connect with your content at any time and from anywhere. To truly meet the needs of your audience at any moment, you should strive to provide a best-in-class mobile site experience. But what makes a mobile site great? Watch our panel of experts as they discuss this question and delve into our newest research on mobile site design in this Hangout on Air. We've also made improvements to the ad call-to-action button by making the tap target size and position more user-friendly across devices. Look out for our new text ads and tell us what you think of this redesign over on our AdSense+ page. Users are consuming more and more web content across screens. Given this shift, we’re updating the design of our text ads to strengthen their performance and make them more consistent and easy to read across devices. Our new text ads have been designed with better readability in mind, regardless of what device they’re being viewed from. We’ve introduced a new default color palette of blue and grey, making the ads easier to read for the user. We’ve also updated our default font to Roboto, designed for easier readability on mobile devices as well as desktop. 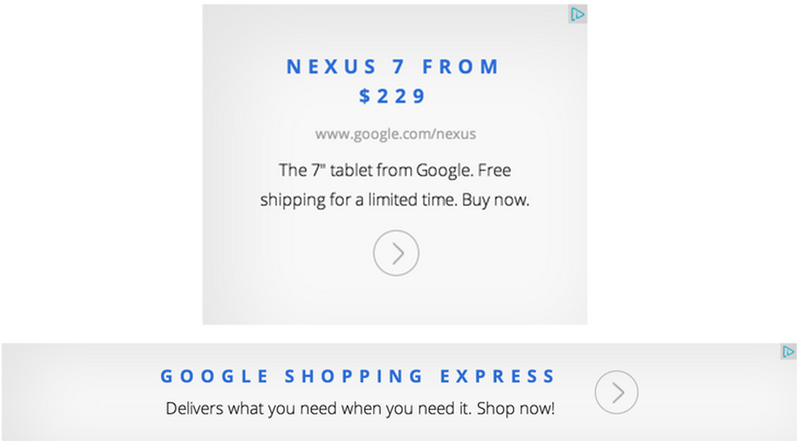 With this change, we’ve aligned our text ad font with the web font we use on our Android OS.